The corn trading method outlined below and technical analysis involves a unique trading method trading Corn Spreads at the CBOT. This grain market based options trading system may or may not be profitable for you. However, with some trading system fine-tuning and trade algorithm trade rule modifications the corn trading system could turn-out to be much more successful vs its current estimated potential. The system tinkering and modifications are more or less up to you to implement based on your own futures trading experience or your trading related methods which you are familiar with. The way this corn market trading system is currently structured is it buys Sept Puts 15¢ out-of-the-money and simultaneously buys Sept Calls, also 15¢ out-of-the-money, The idea being a big up-move caused perhaps by weather concerns during the summer (i.e. June-July summer time-frame) could make the calls skyrocket in value. Conversely, if no big up-move the puts would go up in value as the corn market price declines. In addition, if the trade does not double its total investment by July 4, it's recommended the calls be dumped and puts be doubled-up, as the corn market is very likely to drop if no big up-move takes place by July 4. This year I executed this trade during the recommended time frame (on June 4) with the Sept Corn contract being priced at 275 at the time. Though this commodity futures option (commodity-spread) trade was underway, nevertheless I confess never really liked trading commodities options. Some years ago I traded options more frequently vs now but never made much money (or lost a lot of money) trading options on commodity futures markets. Unfortunately, there are serious issues with successfully trading the corn market and other CBOT Grain markets. In-fact basically all commodities futures markets, including commodity options trading. Personally, a major negative issue I have with most all corn options (and options trading in general) is when the price goes in your favor, the option price tends to increase at a much smaller percentage vs how much they take away from the price when it goes against you! It seems like it's most always the less you make when going your way but conversely the more you lose when going against you. For example, Friday, June 9, Corn closed down 2¢ vs. Thursday. However, they only added ¼¢ to the out-of-the-money 260 Put, going from 5-½ to 5-¾. However, they took away ¾¢ from equally out-of-the-money 290 Call, going from 10-½ to 9-¾. In other words, my long put gained ¼¢, but my long call lost ¾¢. My loss for just one typical day was triple my gain in percentage terms. I Have seen that occur often, both on this trade and other options in other markets over the years, including a number of spread trades. In fact, I have seen many more extreme examples. After looking at the facts, I now believe it will be very difficult to double my money on this spread. For example, the 260 call was 21-½ on Friday, with the call being 16¢ in the money. That means if Sept Corn went to $3 .06 it would then result in the 290 call being 16¢ in the money, and it may be worth about 21-½ or so. However, it would likely be worth less than that because of time decay between now and the potential $3.06 price. Speaking of time decay, I recall some trades where the market was flat or even went my way to a degree, but I still lost money as they took away the time premium every day, making my option worth less, even if going my way! The put is similar to the call scenario. For example, the 270 put is now out-of-the-money by 6¢, and worth 10-½ as of Friday 6-9. For my 260 put to double, which I paid 5-7/8 for a week earlier, the price would have to drop an estimated 8¢ in the money, or a price of about $2.52 or so. An even lower price would be necessary due to more time premium decay, if the move took a while to take place. These Sept. Options expire on Aug 18th according to my broker. That means there's only a short amount of time for the price to make a huge move either down to the $2.52 area for the put-option to double, or up to the $3.06 area for the call-option to double. Moves of that magnitude in corn seem highly unlikely. For example, even with all the unusual major news stories recently, such as flooding, late crops, Russian sales, other exports, etc., the price only moved about ½¢ today. Keep in mind, even if the price does make a big move and the option doubles, what about the loss on the other end! If the price goes up to $3.06 or so the 260 and 250 puts would be almost worthless. The opposite is true with the call options being almost worthless if the market price drops to the $2.50 area. If the price makes that huge move up or down and we double the value, it may only be a break even because almost the entire investment on the other end would be a wipe out. If that's true, it seems to me we would actually have to quadruple our profit on the winning end to in reality "double our money!" By the way, what with options daily time decay, the scenario on this trade is even worse than my above calculations, with even a bigger move required, either below $2.50 or above $3.10 for the 260-290 options. Trading Tip of the Day. 1. Obtain full disclosures, prior to opening a trading account, regarding all relevant information about buying and selling commodities or stocks, and obtain all new account details. 2. Understand that you likely are not linked directly to the market being traded, and the click of your mouse does not instantly execute a trade. 3. 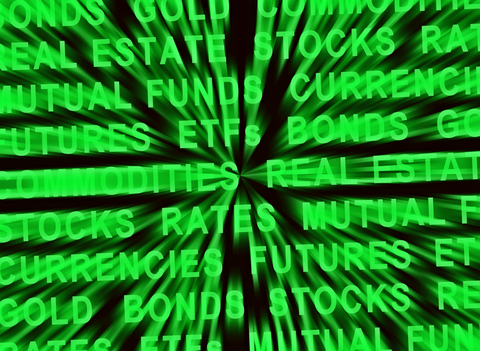 Receive information from the trading firm to substantiate any advertised claims concerning the ease and speed of online commodity futures trading. 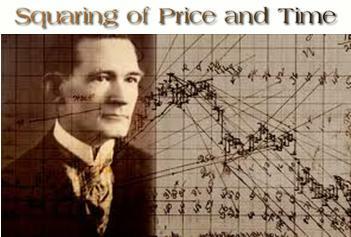 This potentially highly profitable but low-cost Gann Secrets (explained) trading course offers every Gann trader (both new or experienced) the information needed to blend these powerful Gann trading techniques into commodities, futures & stock market trading and trade decisions, which can bring you consistent profits. 4. Receive information regarding the firm's Web site, including how to proceed during significant outages, delays, and other interruptions to your online commodity futures trading and account access. 5. Obtain market information before trading about entering and canceling orders (market, limited and stop loss orders) and the details and risks of margin account, which in-effect is like borrowing to buy/sell stocks and commodities. 6. Determine whether you are receiving delayed or real-time stock quotes and when your account info was last updated. 10. Be sure to read and understand The Trading Risk Disclosure as required by the U.S. Commodity Futures Trading Commission. 11. Contact your state Securities Dept, CFTC, SEC or National Futures Association (NFA) to verify the registration and licensing status and disciplinary history of the online brokerage firm and file an online complaint, if necessary. 12. Find and trade a good commodity trading system which is based on sound trading principles and be sure to limit your losses by always placing a stop-loss order for loss protection if the trade does not go your way! 13. 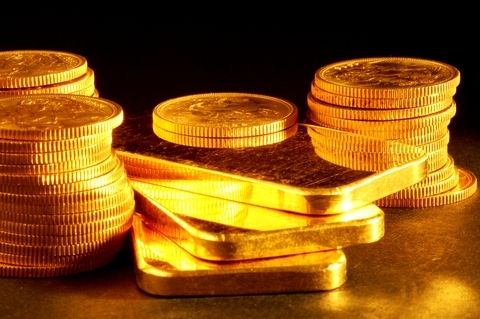 Inquire about possibly buying a good commodity-trading-system by searching for terms such as: futures trading system - forex trading systems - day trading system - best trading system - automated trading system - free trading system - forex system - trading system forex - forex systems - commodities day trading system plus other popular trader phrases. 14. Trade With The Trend Using Chart Pattern Recognition by identifying swings and subsequently Buying Higher-Lows and Selling Lower-Highs. Please send us an email if you would like to know the best methods to correctly identify higher-lows and lower-highs, also known a swing-highs and swing-lows.